The Spider Queen lives again. But something is different, something her priestesses can hear in the winds, feel in their spirits, and for a select few see with their own eyes. The Demonweb Pits, removed from the Abyss to take its place among the lower planes, is more dangerous, more horrifying than anyone has ever imagined. Teeming with feral spiders bent on ripping each other to pieces - killing, eating, and killing again - the blasted landscape of Lolth’s personal hell is still forming. Quenthel Baenre, with the tattered remnants of her expedition continuing to plot against her, crosses that spider-infested killing ground in hopes of answering the call of her reborn goddess. If she can make it to Lolth’s side, can she even imagine what plans the Queen of the Demonweb Pits has had for her all along? 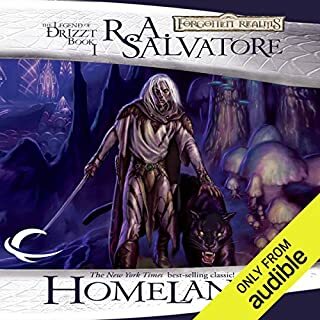 The final novel in an epic six-part series from the fertile imaginations of R.A. Salvatore, and a select group of the newest, most exciting authors in the genre. Join them as they bring an end to a devastating war, and give birth to the greatest horror the Realms has ever known. Danifae Yauntyrr, former battle-captive of House Melarn, has come too far to stop now. She has regained her freedom after years of servitude, but has yet to exact her revenge. Though she has gained much, grown in both power and ambition, and enjoys the protection of the powerful draegloth Jeggred Baenre, Danifae still needs to kill Halisstra Melarn. But how can she when she’s followed Quenthel and Pharaun into the heart of Lolth’s reformed domain, a hellish world of demonic spiders bent on eating each other, and anything else stupid enough to get in their way - including the chosen vessel of Lolth herself. While Danifae wonders how she’ll ever take vengeance on a woman she left behind on the surface of Faern, the very target of her burning hatred is close on her heals. Halisstra has come to the Demonweb Pits with a very different agenda. 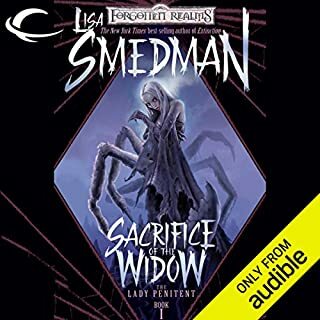 In her hands she holds the fabled Crescent Blade, a sword she believes will grant her the power to kill Lolth herself - but only if they find her before she fully completes her own mysterious Resurrection. 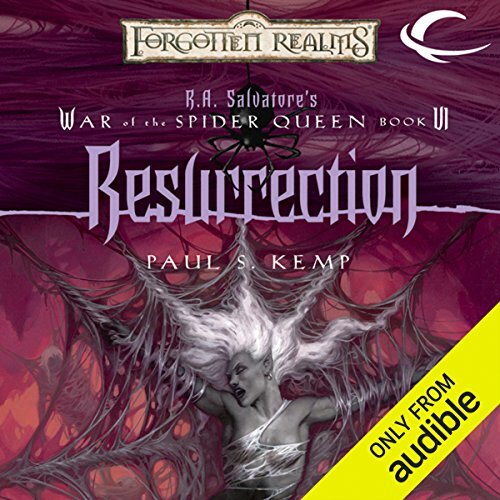 The War of the Spider Queen comes to an end. 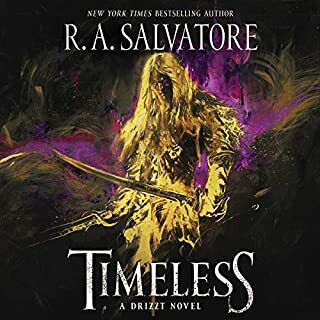 ©2005 Wizards of the Coast, Inc. (P)2013 Audible, Inc.
this was an awesome series, its so hard to tell that a different author wrote each book. The story just flowed so well. 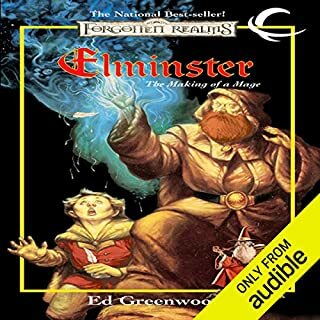 Great read, a must read for any D&D or Forgotten Realms fan. 1 book to tie up loose ends that should have books. instead of a can't stop listening story it took 3 days of me forgetting were I left off... sorry but it's forgettable... so many skipped scenes abriviated to a point it felt like a summary or a friend droning on and on about something they liked that I couldn't care less about...the other 5 books kept my attention. 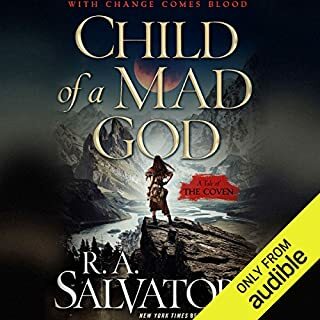 great series my second favorite next to the last mythol great books read the first two then bought the rest on audible was not the least bit disappointed. Full of twists and turn arounds, I hated and loved the characters in this story. I was visibly upset by the conclusion, but then thought about it and found it fitting, when dealing with drow, how could be any different? 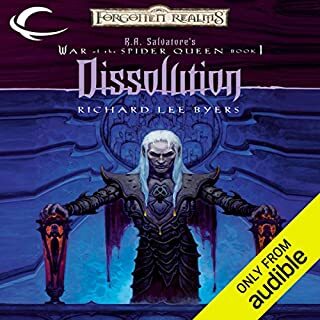 Rosalyn Landor does a masterful job narrating the cruel nobility of the dark elves. An excellent choice.